Chem Addiction is a game mechanic in Fallout 4 that is designed to simulate the downside of taking performance-enhancing Chems. This mechanic provides players a reason to carefully think over their consumption of Chems as their can be some obvious consequences on their characters. These consequences include loss of hair, headaches and blurred vision every 2 minutes. Failure to take the Chem again after its effects wear off, leads to Withdrawal Symptoms. These symptoms can result in lowering of stats, making you weaker. The withdrawal symptoms of your particular Addiction are viewable on the Pip-Boy on STAT > STATUS page and then pressing the SHOW EFFECTS button. 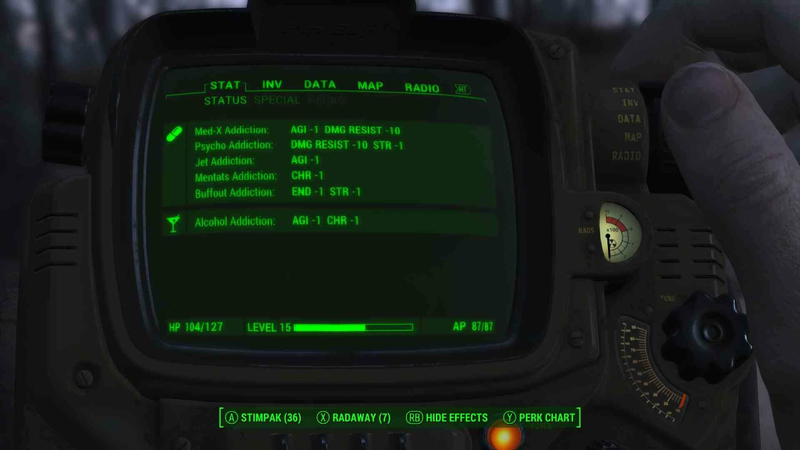 There are different ways to prevent Chem Addiction and even cure it in Fallout 4. Increase your capacity by using the Chem Resistance Perk. Consume only 1 Chem per 33 hours in-game (not confirmed). 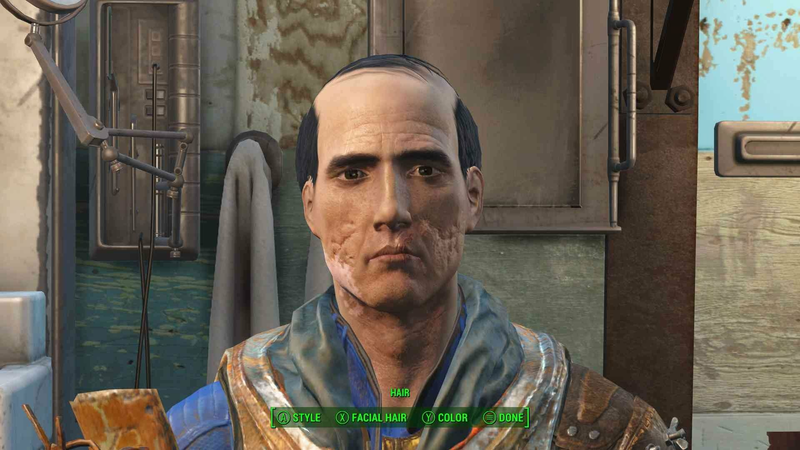 Doctor Sun in Diamond City or Covenant who will cure all addictions for 100 Caps. Craft a Refreshing Beverage at a Chemistry Station.